Hoodie with double function for pregnancy and nursing. 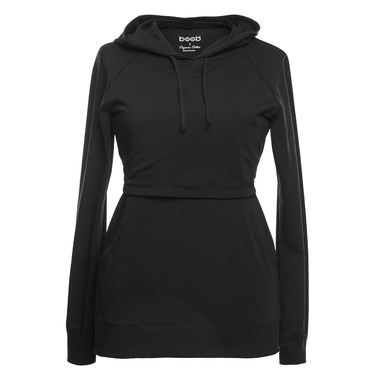 The front overlap is lined with a thin layer of fleece to keep your bosom warm. Soft, comfortable fabric in certified organic cotton. Material: 95% organic cotton/5% elastane - Fleece made from 100% polyester (from recycled PET bottles). Please Note: Image above is shown in a different colour.